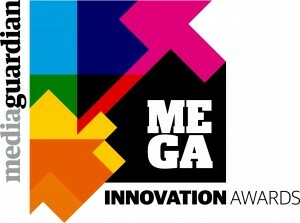 MediaGuardian Innovation Awards 2010 #Megas launch today and are open for entries. Now in their third year, the Megas reward all that’s brightest and best across the media and new media landscapes. Last year’s winners included a virtual surgery designed to fight cervical cancer, a ballet dedicated to football, a chocolate letter and an internet balloon race. The coveted MediaGuardian Innovator of the Year award was won by the BBC iPlayer. Now that is all great but if these are for new media where are the categories for best media stream, blogger, social media (breaking down to Facebook, bebo, t(thinge) etc. I am not knocking them they are great awards but please can you add some more categories?